In my opinion an entrance to an album is very important. Considering Magnus Öström is not a pop star (well, he deserves to be more popular with his technical capability in drums) and we, as his followers and listeners, generally buy albums and sit in front of a stereo system or else take our headphones on, the first feeling that touches our heart on hearing the first notes is generally critical. Although the quality or the details of a work are usually discover-able in following listening sessions, there is an inevitable state of mind that can hold a prejudgment while deciding about the album at first sight. From this point of view, the first piece of Searching for Jupiter, The Moon (And The Air It Moves), is very successful. It is not hard in sound but a little bit progressive. Many listeners found that composition as progressive as Pink Floyd - having taken also the name of the piece in consideration. This is shown as a link with the legendary album Dark Side of The Moon, which is celebrating its 40th year now. The first performance exactly carries the sound of Magnus Öström. Well, what is the sound of Magnus Öström? In order to say something about that, one certainly has to listen to all E.S.T. albums as well as the albums released by Magnus and Dan after Esbjörn's passing away. Since I have been doing this for a long time, I hope it won't seem inappropriate if I make a comment about Magnus' sound. On listening to Thread of Life and Tonbruket's albums I have decided that the main jazzy and melodic part of E.S.T. was Esbjörn Svensson. Dan Berglund was certainly at the rocky side with his incredible bow technique&sound whereas Magnus was exactly the progressive rhythm department of the legendary trio. One of the most important unique properties of the band was its very accurate timing. Obviously this timing was achieved by our ECHO-awarded drummer Magnus Öström. On the other hand, if you have listened to Leucocyte and/or Strange Place for Snow you might have easily seen that Magnus has also a very solid contribution to the dark sound of the trio. Thread of Life <surely also because of its mourning-like concept> can also be shown as a proof of that. Well, in the first piece of Searching for Jupiter we hear that very characteristic sound: as sharp as an atomic clock, as dark but melodic as a Nordic winter, as progressive as 70's rock... The cold and sustained piano of Daniel Karlsson in the entrance is accompanied by deep kicks and soft touches of Magnus Öström's to his complicated drum set. Andreas Hourdakis is taking stage with a very similar sound to what we hear while listening to Pat Metheny. As many can easily remember, Pat Metheny and E.S.T made several collaborations in old days and Pat has played in the most precious piece of Magnus Öström's previous album Thread of Life, Ballad for E, which is a tribute and a mourning expression from the maestro. The bass line of Thobias Gabrielsson is steady and at very low frequencies at the back. There is also a very wonderful effect on the bass line that sometimes carried to a distorted thing that almost resembles to a landing of a spacecraft in a space movie. I am not sure who does this but I think he is our bassist Thobias. Dancing at Dutchthread is almost like a progressive rock piece that wakes you up from the dreams in the first piece. It's like Magnus is telling you "here I am standing tall and playing my own music. I am not the drummer of E.S.T. This is my style, my music." The overall responsibility of the sound is given to Andreas in this piece, he is carrying the sound between highs and lows successfully. 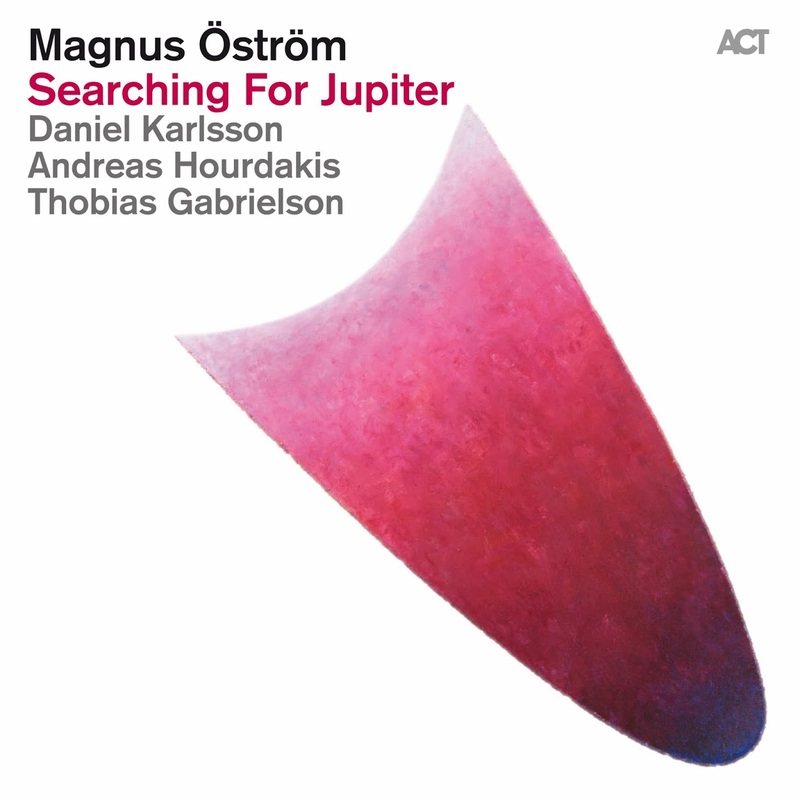 Magnus Öström's metronome like drums should again be taken into consideration with its strength and steadiness. Mary Jane Doesn't Live Here Anymore is a piece that shoots you with its name first. Yes, basically, we remember Esbjörn again. The piece starts with a very melancholic piano and guitar at the main theme which are accompanied by soft brush touches to the drum and lower lines of bass. Daniel Karlsson is carrying a great improvisational part with the piano. Even melancholy is the dominant feeling, there is also a hopeful sound especially coming from the piano. I feel like "Even Mary Jane doesn't live here anymore - at least she is happy. Now, the Spider-Man can carry on living." The title track of the album certainly has a very distinguishable place among other pieces with its energetic and aggressive style. The piano is presenting some initialization first, whose closing parts are missing. After a couple of this intro cycle, the drum&bass and the guitar are taking their places with a sudden entrance. The main theme carries both melancholic and nervous items. It's like a rebellion to a very big power in the beginning. 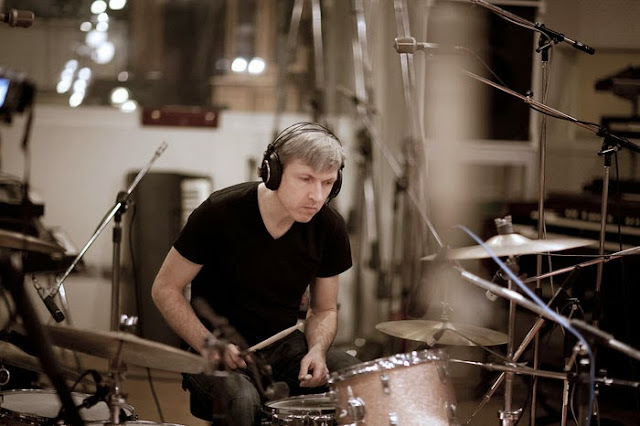 The stick speed of Magnus Öström is incredible on the hi-hat. Then a more peaceful part is taking place as the composition progress. Andreas Hourdakis is giving a very good guitar solo here. This progressive style of the piece carries itself to a very different transition part that has almost a metal taste sounding like rap-metal band Rage Against The Machine. Daniel Karlsson's cold piano partition has given the main idea here. The end of the piece is achieved by the entrance theme. This last part should be easily analysed by drummer students. Magnus Öström is as accurate as a computer sample. How many arms does this man have? With its almost twilight zone film introduction given by the piano, Hour of The Wolf has taken me to the painful feelings of the loneliness and fear. This is certainly a continuum of the mourning with the previous album Thread of Life. The drum and guitar partitions are very well at the forefront. The sounds are immensely reverberated and overlapped resulting in a mysterious aura. I really could not get the main idea here but I think Wolf is the Magnus himself and this piece is a symbol for the lonely times reminding him the past. Through The Sun is another island of hope in the album - maybe the biggest and greenest one. The main theme carried by the piano and guitar is almost pastoral. The incredible harmony of the band is very noticeable in this piece. 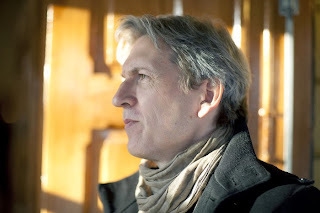 Especially Magnus Öström is always there with infinitely many touches, reaching to every partition with a full sound. I know it will sound bizarre but he is almost playing the melody with the drum set. I closed my eyes for a while and tried to ignore the other instruments than the drum then I saw that almost the whole piece was still there with blood and bone. He is certainly one of the best drummers on this planet. Although it starts with an entertaining and a easy-listening melody, Happy And The Fall is a composition carrying emotional highs and lows together. Especially Daniel Karlsson caught my attention with his great performance on piano in transitions between happy and melancholic parts. Magnus Öström is playing as if there are two drummers at the back. Andreas Hourdakis should also be given attention here for his guitar performance. Jules and Jim's Last Voyage, I think, has taken its name from the famous French book (written by Franz Hessel) or film (directed by Francois Truffaut) called Jules and Jim. The story is a very bitter and depressing one. Jules and Jim are actually good friends but they fall in love with the same woman and serve to the army in opposing sides in the war. The story ends with the death of Jim and the woman - not a happy ending like the life itself. 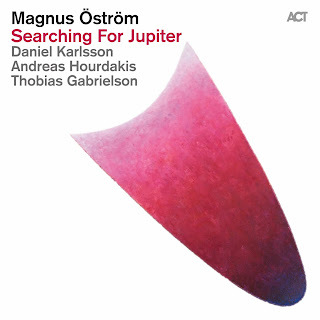 The entrance of the piece in Magnus Öström's album is almost like a soundtrack for the trailer but actually I could not get what it is meant with their last voyage. Especially Andreas Hourdakis is giving a shiny melancholy to the piece with his stand-still minors. The deep bass line of Thobias Gabrielsson is like the footsteps of the fate. There are some psychedelic smells in some parts of this performance. The name of the last piece carried me to five years ago when I have listened to Leucocyte. As many E.S.T. followers may remember, the album ends with four pieces bound together with Latin names: Ab Initio, Ad Interim, Ad Mortem, Ad Infinitum which means The Birth, The Interval Between (Life), The Death and The Eternity respectively. All these pieces carry the emotional aura of each parts of the human life in a poetic way: the harsh and energetic entrance of the birth, a one-minute empty record of the life, depressive agony of the death, a peaceful negotiation with the life and death with a calm mourn inside. At the End of Eternity is like the fifth piece from Esbjörn's childhood friend. It is hopeful with all aspects. It feels like "life goes on." The dialogues between guitar and the piano are remarkable here in this piece. The changes in the tension are controlled by Magnus Öström. As in almost all pieces, our great drummer is steady at the back and in front of everything. 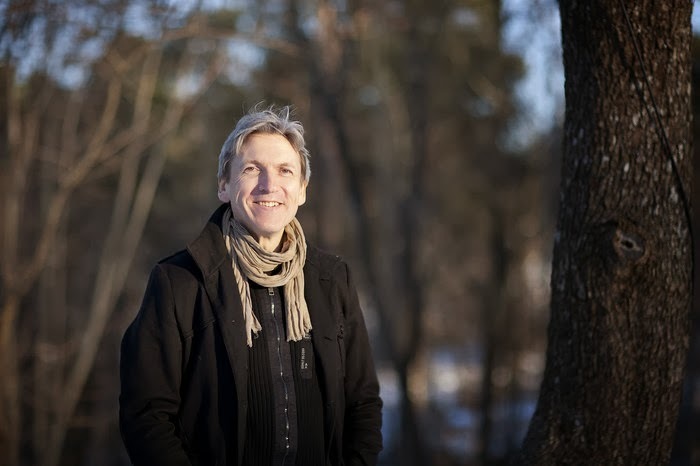 All the compositions in the album belong to Magnus Öström. The album is recorded by Janne Hansson at Atlantis Studio in Stockholm within four days of 2013. There are also some records made by Magnus Öström himself in Islandstream Studios. In the mixing we see a familiar name from E.S.T., Åke Linton from Bohus Sound Recording. Mastering is made by Classe Persson at CRP Recording. There is also a vinyl record released from ACT.